Every day, you do it again: checking your email. After all these years though, surely someone has come up with a way to make this better — haven’t they? 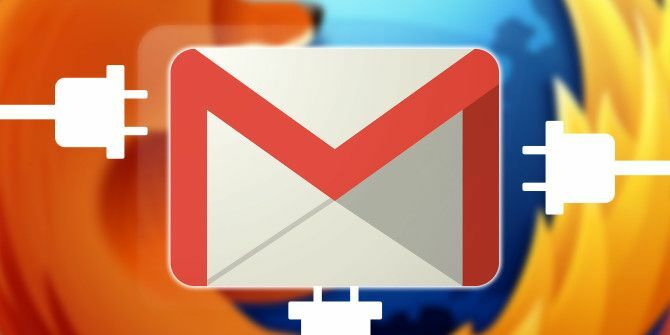 If you use Gmail, you already have a head start in making email management Rediscover Gmail Labels and Finally Tame Your Inbox Rediscover Gmail Labels and Finally Tame Your Inbox There are plenty of tricks to deal with email overload, but there's one right under your nose that you might not be using: good old Gmail labels. Read More as painless as possible. This is because there many, many apps that integrate with the popular webmail service. Today, we bring you ten Firefox add-ons that make Gmail much better than it already is. Gmail Notifier tracks your inbox for activity and sends you notifications for new emails. You can receive notifications for up to six accounts or labels and set their frequency. To steer clear of distractions while you’re working, disable notifications via the toolbar button. The extension might appear simple on the surface, but you get granular control over it via its settings page. With Gmail panel, there’s no need to open your inbox in a new tab every time you want to access it or to keep it pinned to Firefox. The add-on places your inbox inside an easy-to-open popup panel. Click on the toolbar button to bring up the panel and hit Esc to hide it. You can even keep the panel pinned to the screen till you’re done using it. Want to configure a keyboard shortcut or resize the panel? Do it from Tools > Addons > Gmail panel Preferences. A drag-to-resize feature for the panel would have been a nice addition. Wait, there’s more! On popular demand, the developer has created other panel-based extensions such as GTasks Panel [No Longer Available], Integrated Google Calendar [No Longer Available], GDrive Panel [No Longer Available], and GKeep Panel [No Longer Available]. They work pretty much the same way as Gmail panel does. WiseStamp (freemium) gives you plenty of options to customize your email signatures. It even allows you to add a link to your latest tweet or blog post. After installing the add-on, open Tools > Add-ons and click on Preferences next to Wisestamp. This opens a dialog box from where you can create custom signatures for your email accounts. Scan the template gallery if you’re stuck for ideas. Moving files from your email to a cloud storage service? You don’t need to download them to your desktop first if you have installed Kloudless. After you install the extension, connect it to your Gmail account and one or more cloud storage services. The colorful Kloudless icon now appears in the overlay on file attachments (next to Download and Save to Drive). Click on it to save the attachment to the storage platform of your choice. The extension works with Dropbox, Google Drive, OneDrive, Box, and a few more services. You can also set up rules to automatically send incoming attachments to the right folders in the cloud. The cool thing is that Kloudless also allows you to attach files from cloud storage while composing emails. To do this, click on the Kloudless icon (next to the Attachment icon) in the Compose window. Gmelius gives you access to a long list of Gmail tweaks arranged into neat, scannable sections. Use it to make Gmail’s clean and efficient interface even more so. For starters, hide the chat and footer sections, turn off Google Plus activity, and remove the People Widget. Make some stylistic changes and enable tracking detection as well. Remember to click Save changes after you’ve finished tweaking the settings. If you want access to more features, upgrade to a premium account. An alternative to consider is Better Gmail 2 [No Longer Available] as it’s another extension that adds useful visual and functional tweaks to Gmail. Batch processing emails a couple of times a day is a smart way to manage email. Add Boomerang’s ability to schedule emails for later and you get to stay out of your inbox for longer periods of time. Compose all those emails you have to send, and for each one, hit Boomerang’s Send Later button. Specify when you want each email to go out and forget about it. Boomerang will ensure that the email goes out on time. You can also set up reminders to help you follow up on emails. Not ready to process certain emails yet? Boomerang can make them disappear from your inbox till you are. It’s available for Chrome, Safari, and mobile devices as well. Markdown, a text-to-HTML conversion tool, makes the process of writing for the Web Learn The Basics Of Markdown in 10 Minutes With This Video Tutorial Learn The Basics Of Markdown in 10 Minutes With This Video Tutorial If you've heard about markdown but not yet had chance to try it out, this short video should get you up to speed with the language that makes creating content for the web easy. Read More intuitive. With Markdown Here you can even compose your emails in Markdown without leaving Gmail. Here’s how it works (after you have installed the extension and restarted the browser, of course). When you’re composing an email, use Markdown syntax. 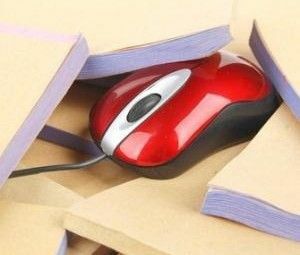 Once you’re done writing, open the context menu (right-click menu 10 Best Shortcuts to Add to Your Right-Click Menu 10 Best Shortcuts to Add to Your Right-Click Menu The context menu that pops up whenever you perform a right-click can help you become more productive. With the right tool, customizing the shortcuts within it is a breeze. Read More ) and select Markdown Toggle. The email text now appears in HTML and you can hit Send. Want to make changes to the text? Not a problem. Use the toggle feature to go back to the Markdown version. You can also click on the extension’s icon in the address bar to toggle between Markdown and HTML. Boomerang Calendar parses your emails for meeting times. But first you’ll need to give it permission to sync with your Google Calendar. The extension adds a button named B Cal to the right of the More button in every email. That’s where you’ll find options for creating events and suggesting meetings. Boomerang Calendar cuts out the need for emailing back and forth to schedule meetings. You can plan group events, share your availability, and suggest a meeting time and place with ease. The extension also helps you figure out convenient meeting times across time zones. Check out the app’s how-to video below to see how Boomerang Calendar works. HelloSign is a popular freemium service that allows you to sign documents electronically Can You Electronically Sign Documents & Should You? Can You Electronically Sign Documents & Should You? Perhaps you've heard your tech-savvy friends throw around both the terms electronic signature and digital signature. Maybe you've even heard them used interchangeably. However, you should know that they are not the same. In fact,... Read More . Its Firefox add-on saves you time by ensuring that you can view, edit, and sign documents from within Gmail. Of course, you’ll need a HelloSign account to use the add-on. Adobe’s Echosign service also integrates with Gmail via a Firefox extension. Inbox Pause adds a Pause button to your Gmail. 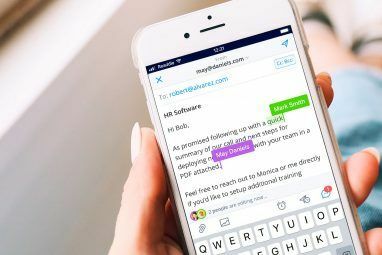 Click on it every time you find email being intrusive How to Deal With Inbox Overload and To-Do Lists in Emails How to Deal With Inbox Overload and To-Do Lists in Emails Email is not just communication, it also largely dictates your to-do list. Let's talk about the best tips to link the inbox to our productivity with Andy Mitchell -- the founder of ActiveInbox. Read More . All your incoming emails will then get redirected to a special label till you’re ready for them. Want your email life back? Just hit Unpause. Those hidden emails will then appear in your inbox and new mails will arrive as before. Inbox Pause is a product from Baydin, the company behind Boomerang for Gmail and Boomerang Calendar. Despite the security and privacy concerns surrounding Gmail The Gmail Panopticon: The End of Privacy as We Know It? The Gmail Panopticon: The End of Privacy as We Know It? Your emails are being read. What does this mean for online privacy going forward? Read More , it remains a popular service. If you’re a Gmail and Firefox user, these add-ons will make your workflow simpler. You may not need all of them. We’ll leave it to you to decide which ones will enhance your Gmail experience. The latest Firefox builds have rendered some of our favorite add-ons (like Rapportive [No Longer Available]) either obsolete or dysfunctional. That’s why we have omitted them from this list. Which of these add-ons haven’t worked out well for you? Which others do you consider essential? Have your say in the comments. 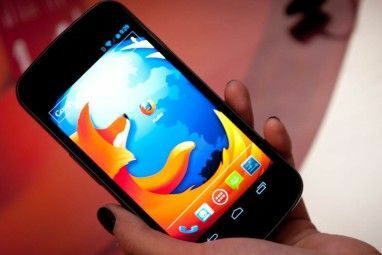 Explore more about: Gmail, Mozilla Firefox. While Gmail extensions are great, now that Inbox is open to everyone, I hope we start seeing more extensions for that. I don't really use gmail's interface anymore now that I'm using inbox and I'd like to see some of these get ported too.